Purine is a nucleoprotein found in almost all foods, according to Krause's Food, Nutrition and Diet Therapy. Uric acid is created from the metabolism of purines. People with gout have a disorder of purine metabolism causing high levels of uric acid to build-up in the blood. The uric acid crystallizes and settles into the joints causing swelling and pain. If you suffer from gout, your doctor may suggest you limit your intake of purine-rich foods. Dietary intake of purines has little effect on blood levels of uric acid, and a purine restricted diet is usually only recommended during an acute attack of gout to prevent additional uric acid build-up to the already high blood levels, says Krause's Food, Nutrition and Diet Therapy. High purine content foods contain 100 to 1,000 milligram of purine per 100 gram serving. If you are suffering from an acute gout attack, you should avoid any high purine foods. 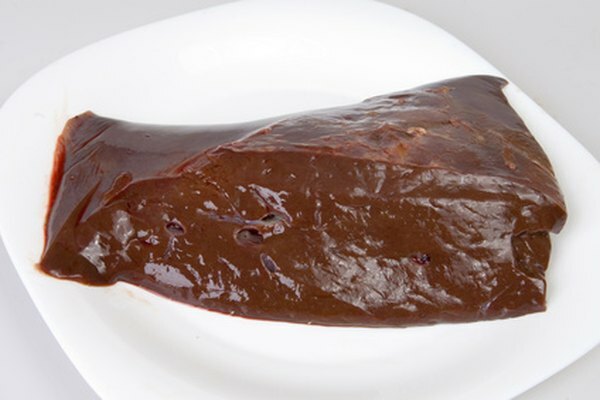 Such foods include anchovies, bouillon, brains, consomme, goose, gravy, heart, herring, kidney, mackerel, meat extracts, mincemeat, mussels, partridge, roe, sardines, scallops, sweetbreads and yeast. Animal proteins are the primary source of purines in the diet. If you have an acute gout attack you should limit your intake of animal proteins to 4 to 6 ounces a day. Purine-rich animal proteins include beef, lamb, tuna, shrimp, scallops, lobster, chicken, turkey and pork. Moderate purine foods contain 9 to 100 milligrams of purine per 100 grams of food. Some vegetables also contain moderate amounts of purine, with 9 to 100 milligrams per 100 grams of food. These vegetables include asparagus, dried beans, lentils, mushrooms, dried peas and spinach. During an acute attack, moderate purine vegetables should be limited to one 1/2 cup serving a day. If you are asked to follow a low purine diet to manage your gout you should limit your purine intake to 600 to 1,000 milligrams a day, says "Krause's Food, Nutrition and Diet Therapy." During an acute attack, it is advised you limit your purine intake to 100 to 150 milligrams a day. Krause's Food, Nutrition and Diet Therapy; L. Kathleen Mahan, M.S., R.D., C.D.E., Sylvia Escott-Stump. M.A. R.D.